Leader Garden is sited over 11 acres of freehold residential land which is well placed within cool green hills in Tanjung Bunga. It is only 10km from the heart of Georgetown and has easy access to the beach resorts, hotels, nightspots and famous beaches of Batu Ferringhi and Teluk Bahang. The project consists of one 5-storey low-rise block, two 21-storey, high-rise blocks and a 3-storey clubhouse. All units offer wonderful and breathtaking views of the lush green hills and sea in the distance. Each unit has a private balcony with a scenic hills-view. Aesthetically designed high-rise towers make Leader Garden an impressive landmark in Tanjung Bunga. The neighbour of Leader Garden is Azuria Condominiums. Built-up Area : approx. 3,100 sq.ft. 24-hours security, landscape garden, management office, community hall, car wash bay, games room, convenience store, swimming pool, wading pool, water slide, conference room, gymnasium, sauna, tennis court, squash, laundrette, intercom system, putting green, lounge. The selling price of leader garden should be in the region of RM270k-295k. The management committee still has more than RM1m sinking fund (which means it is in good hands). They are be doing the repainting of the condos now. Seaview is much better than Surin and is almost RM150k cheaper. Better buy here than something that is not yet completed. Kinda hard to get at that price for the higher floor units now. The last done price for the higher floors was RM250K. It would definitely be hard to get for now as the residents there themself would wallop it first b4 it could even get to the market. Leader Garden apartment is the worse. Cracks are appearing almost in every unit. Do not buy the highest floor unit bcos there are water-marks on the ceiling must be the leakages from the water-tank on above floor. Another set-back is there are NO cover car-park for unit owner and you car paint will be faded after 3yrs. Are you going to change your car every 3 yrs ? There are also vandalism in Leader Garden, there are a group of people who go around scratching parked cars during the weekends in the wee hours of the night. So you must take all of these points into consideration before buying. I agreed with you.Actually i also found quite the same problems as u mentioned after i viewed few units.Luckily i had yet buy this condo.Leaking and cracking problems are the main. this property type A & B was below 200K when was launched 10 years back. i checked the price 1 years back, people asking for 210k to 250k. i don't see any valid reason the price can go above 300K. As you yourself mentioned 10yrs back. Prices of property do appreciate from time to time. Compared to the nearby properties Leader Gdn considered below market price. 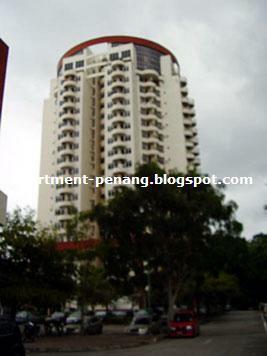 At RM300K it is still around RM300psf nearby properties older than Leader Gdn already selling RM370psf-RM400psf. Hi, anybody can comment on how is the place and maintenance like in Leader garden? Thinking of getting a place here. I would like to know some units that can be sale at around MYR250k which alrd had fully furniture and fully renovation. Most probably it will have a car park or a sea view. Thanks and kindly let me know. now market where have this price?